It’s that time of year when the grass is getting greener, the days are getting longer and there are signs of rebirth and new growth everywhere. Spring is by far my favorite season. Everything feels like a new beginning, like each new life is the beginning of someone’s story. My goal at every newborn session is to portraits that will shape the story of your lives and provide a legacy of family history for future generations to treasure. I’m answering some of your most frequently asked questions about newborn sessions. When you schedule a newborn session with me, you also receive a comprehensive newborn session prep guide answering many questions you might not have even known you had! 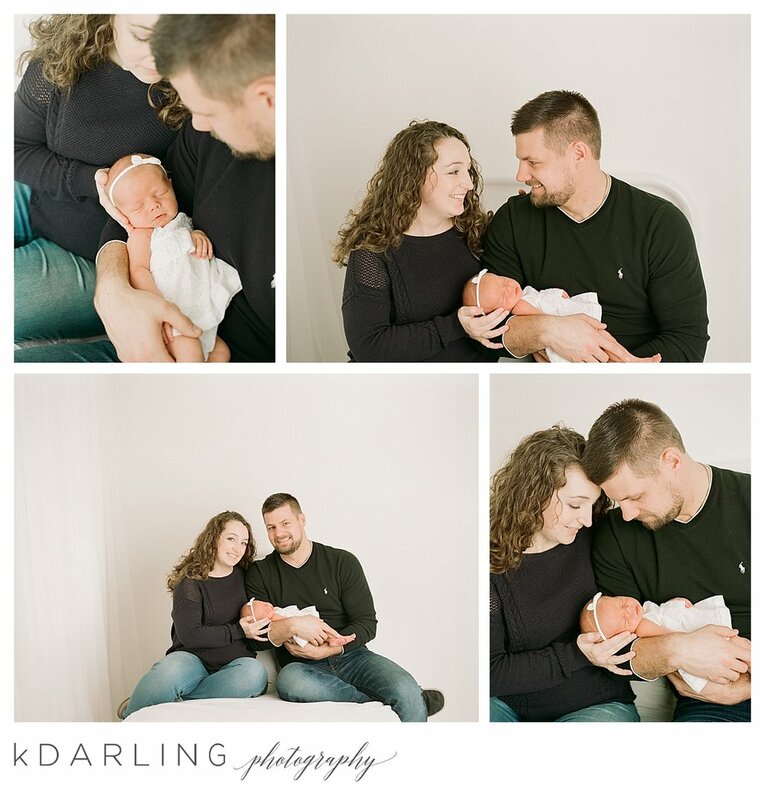 Newborn sessions are relaxed, fun and full of love and connection. I do not overly pose babies, instead I photograph baby in natural, baby led poses creating a relaxed environment. 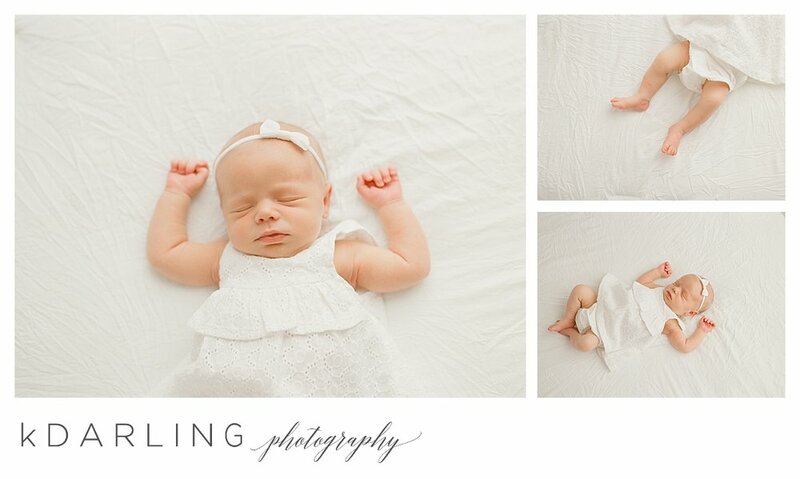 Thank you to Kenna’s mommy & daddy for allowing me to photograph their sweet baby girl! Kenna is the third child of Alli & Kody that I have had the good fortune to photograph - she’s just simply perfect! Thank you Kody & Alli for always trusting me with these special moments for your family. This is the most commonly asked question when it comes to newborn sessions. The short answer is NO. There is no need to bring anything other than your diaper bag and its usual contents, extra bottles + formula (depending on how you’re feeding baby), a pacifier - just in case, and a change of clothes for you (also just in case). If you have a special blanket or family heirloom that you would like used in the pictures please bring that too! 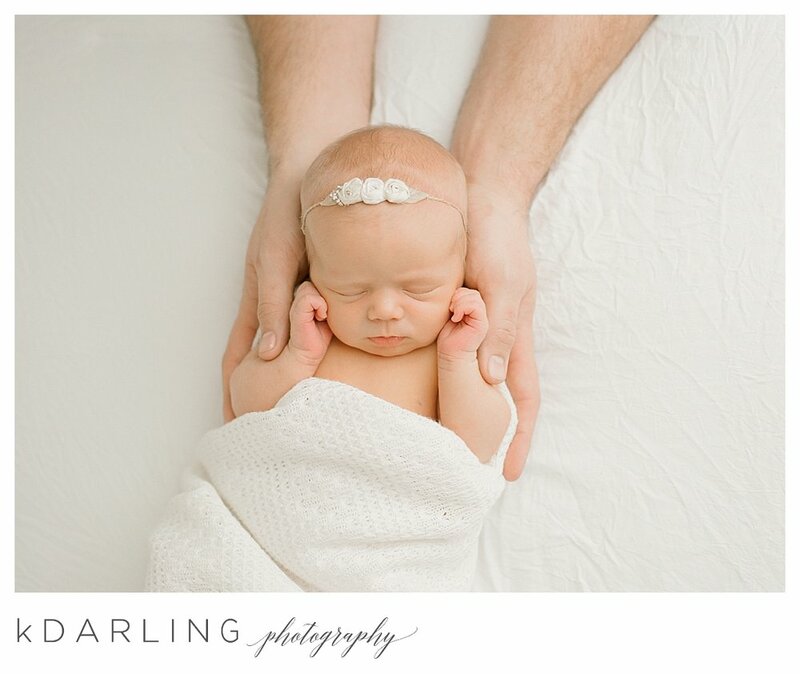 Adding personal touches to newborn sessions is an awesome way to personalize your pictures! Otherwise, I have all the white onesies, blankets, hair bows, bonnets you could ever dream of! How soon should we schedule our newborn session? Another commonly asked question! The sooner you can contact me to schedule your newborn session be better! A small non-refundable retainer secures you a spot in my schedule, and we’ll put a tentative date on the calendar about 5-7 days after your due date, and adjust accordingly to baby’s arrival date. If baby arrives early or has to have an extended stay in the hospital for whatever reason - don’t stress! We’ll do the session when your family is ready. Can we include parent & sibling photos in the session? Um…YES! I adore family/parent/sibling photos! Your session is focused on the newest member of your family, however we will also celebrate your entire family! Family/parent/sibling pictures are taken at the beginning of your session whenever possible. The studio is kept warm (about 80 degrees), so it’s best to do these photos while everyone is still feeling cool! It also allows for siblings to go for a walk to the nearby park with dad or grandma, or they can go home with grandma if you prefer! This following images were photographed entirely on Kodak film. All sessions with kDarling Photography are photographed on film. What does that mean for you? That means not much will change for you friends, you'll still receive your images via an online gallery. You'll still be able to print where you wish or through my professional lab. What will change? I will get to slow down a bit at your sessions, allowing me to pay closer attention to details. We'll get to know each other better, and we'll have even more fun! And best yet - you’ll get your session back much sooner! Sound great - you're excited? Me too! 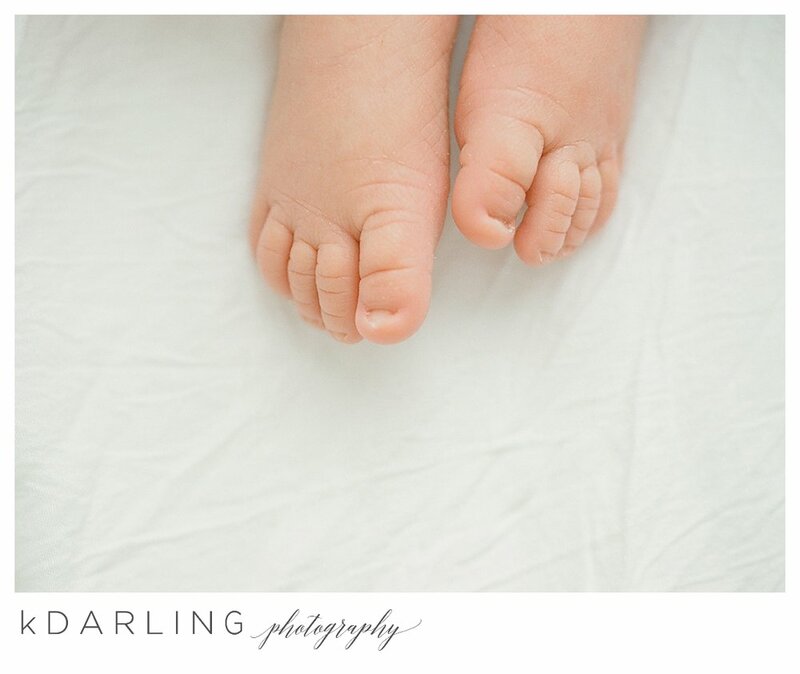 FOR MORE INFORMATION ON NEWBORN PHOTOGRAPHY, PLEASE CONTACT ME, I CAN’T WAIT TO HEAR FROM YOU!